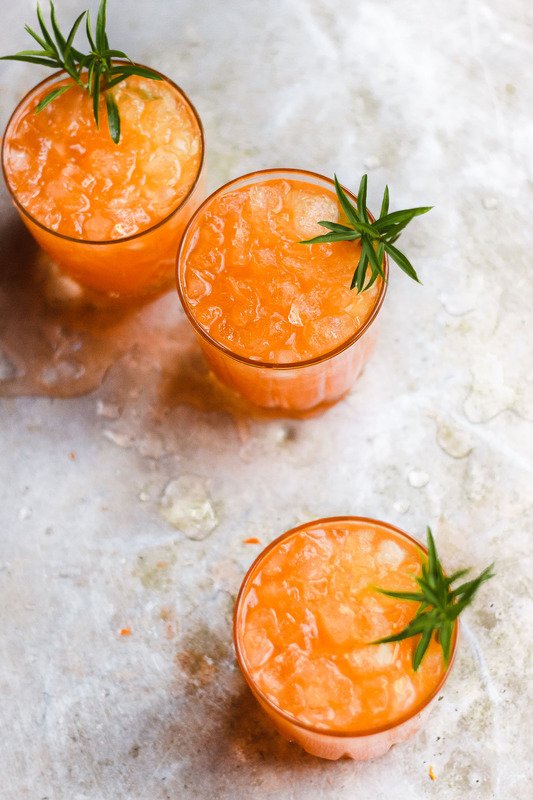 A bubbly carrot shrub cocktail with tarragon topped with champagne or a carrot shrub cocktails topped with sparkling water. 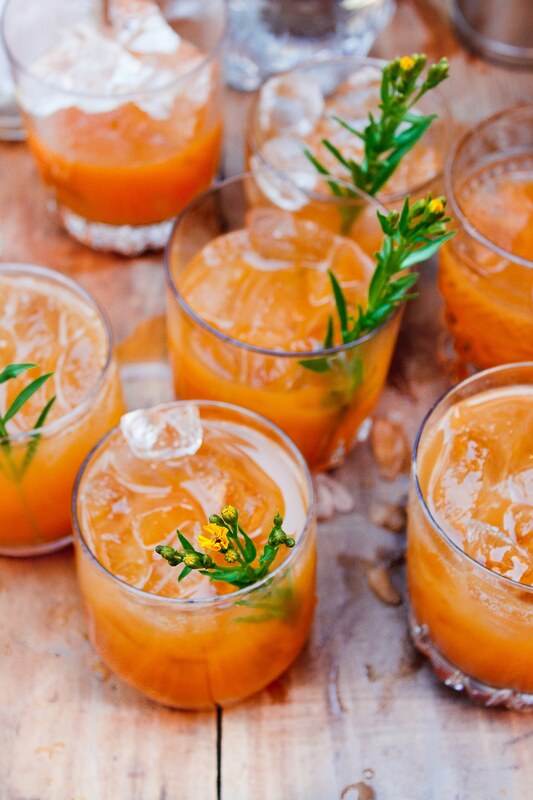 A fall or Thanksgiving cocktail. This is my favorite stuffing. Okay, so let’s keep it short and sweet. Or both. Because drinking is the best part of the preparation, right? 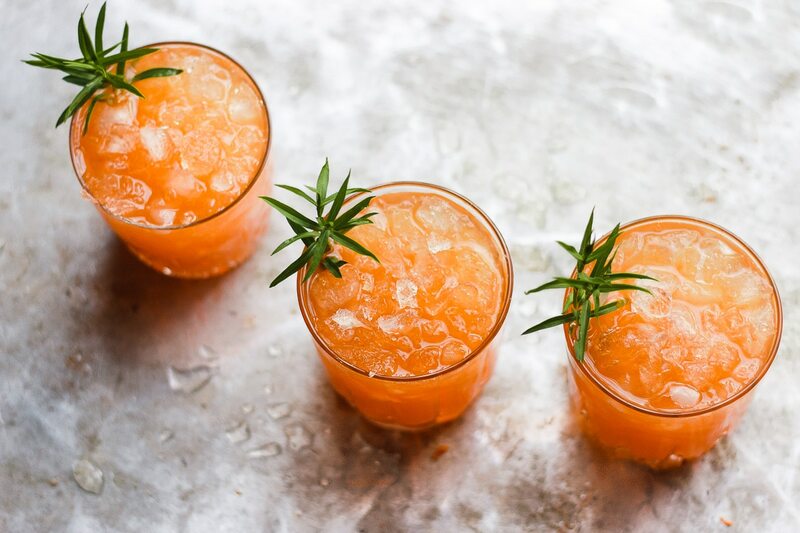 Add this carrot shrub cocktail to your line-up, folks. I served it last month at my Autumn pop-dinner. The tarragon was from my garden and it adds just the right amount of herbaceous-ness to the mix. A little bit of vodka and gin and bubbles and you’re ready to go. Or keep it non-alcoholic by mixing it with sparkling water. Thank you to everyone who came out for Autumn at Urban Matter‘s dreamy outdoor space. My next meal will take place in January. More on this soon – I hope to see you there. In the meantime you can check out my past events here. 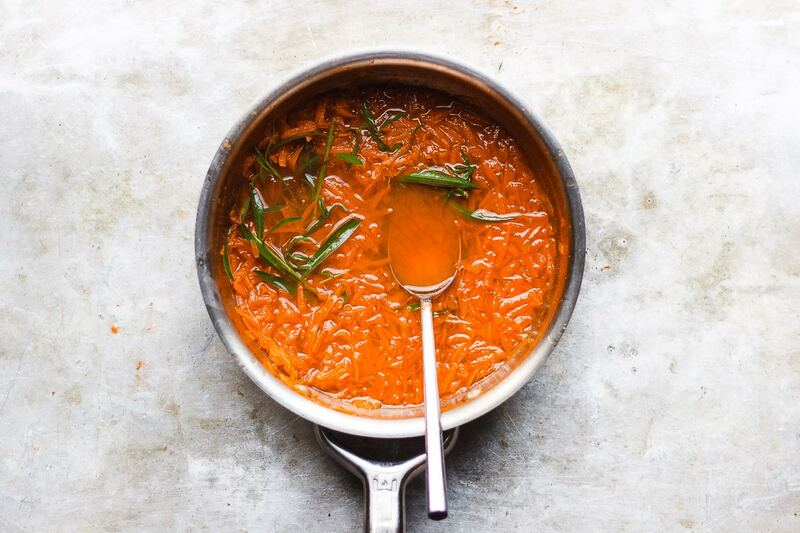 Bring the carrots, water, sugar and salt to a gentle boil and simmer in a small saucepan for 10 minutes. Stir occasionally. 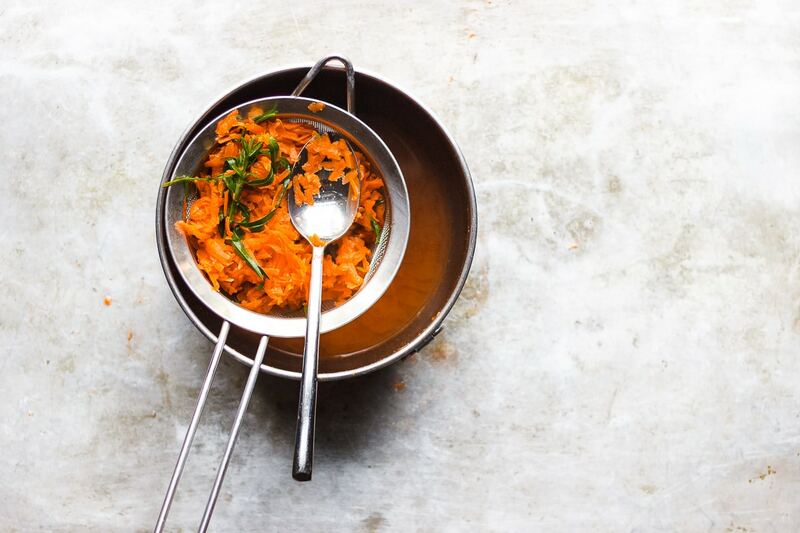 Remove the pan from the heat and add in the tarragon. Stir and allow to steep and cool for 10 minutes more. Strain and then add in the apple cider vinegar. 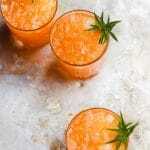 Cool completely and serve over ice with an ounce of vodka or gin and splash of procecco. Or for a non-alcoholic experience. 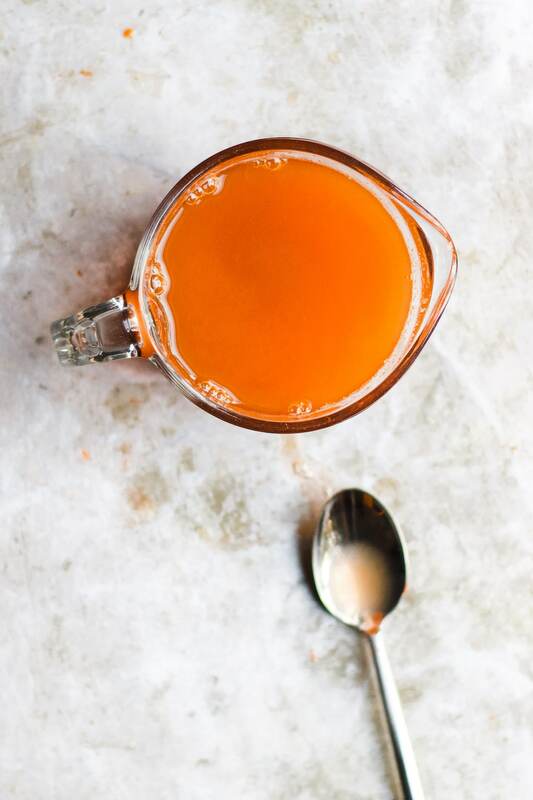 Fill a glass with ice, fill it with half carrot shrub and half sparkling water. This post is in partnership with Urban Matter + Urban Chestnut Brewing Company; thanks for supplying the beautiful space and beer.